Air cushioned protective bubble film is available in a variety of sheet widths and also in ready-to-use bag form. Perfect for packing, storage or for sending delicate items by mail. 10 Products. 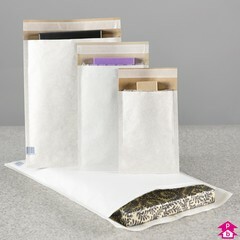 The standard paper padded protective envelope with a self seal strip for closure. 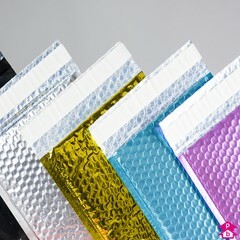 This range is bubble lined rather than pulp filled so whilst being padded to protect contents they are also very light. 3 Products. To protect fragile goods in a box - don't spill it! We now supply both standard polystyrene packing chips and the flame retardant small beads for filling your bean bags. 5 Products. 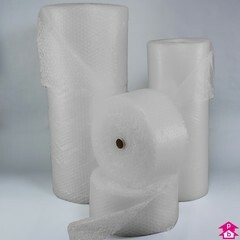 Secure your bubble packaging with ease with our packing tape. 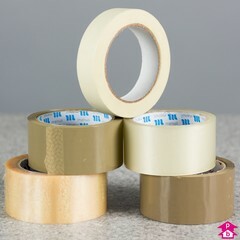 We stock economy propylene tape and premium quality vinyl tape, both available in brown (buff) or as a clear tape. We also sell tape pre-printed with 'Fragile' or 'Glass - Handle with Care' and if those warnings aren't heeded then our masking tape might come in handy too!